We just bought a truck and had a great experience they treated us good and made the buying process so much easier then the other dealership we were in the process of buying from until we found same truck with less miles. 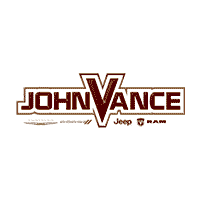 I highly recommend John Vance - I have bought a few cars from them and continue to refer them. They are nice NOT pushy or try to sell you something you don’t want or can’t afford! They have always been amazing from start to finish! Great service from start to finish! Like John says” It’s all true”!! Got a great deal on my car and the follow up care has been good as well. Thanks to Mark for his help! I was in and out in about an hour. Called ahead to make sure vehicle was available and they walked out to confirm. Car was washed and ready when I arrived. Extremely pleased with my experience with John Vance Auto and will be back to buy my next car/truck!! Thank you for great service, Mark.